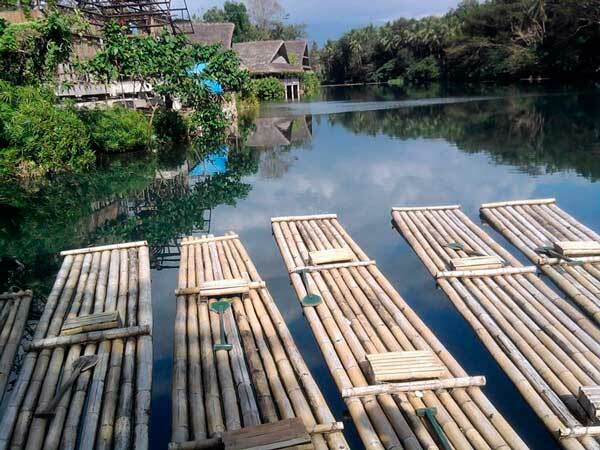 Native bamboo rafts on Lake Labasin. One of the awesome pictures taken by my daughter during their field trip in Villa Escudero in Quezon. This entry was posted in Outdoor Wednesday, Tourists destination, Watery Wednesday and tagged Lake Labasin, Native Bamboo Rafts on February 8, 2011 by Yami. Lovely picture. The lake looks so peaceful. Wonderful shot of these rafts. Oh i tried that few times before and it was fun. Happy WW! This looks like a fun place to visit. I would have to leave the rafting to the younger generation. What a lovely collection of rafts! He fancied adopting an otter!